Valda was primarily interested in traditional realist art. However, she had respect for abstract art and knew quite a few of the leading abstract artists of the day from her time at the Art Students League in New York City. 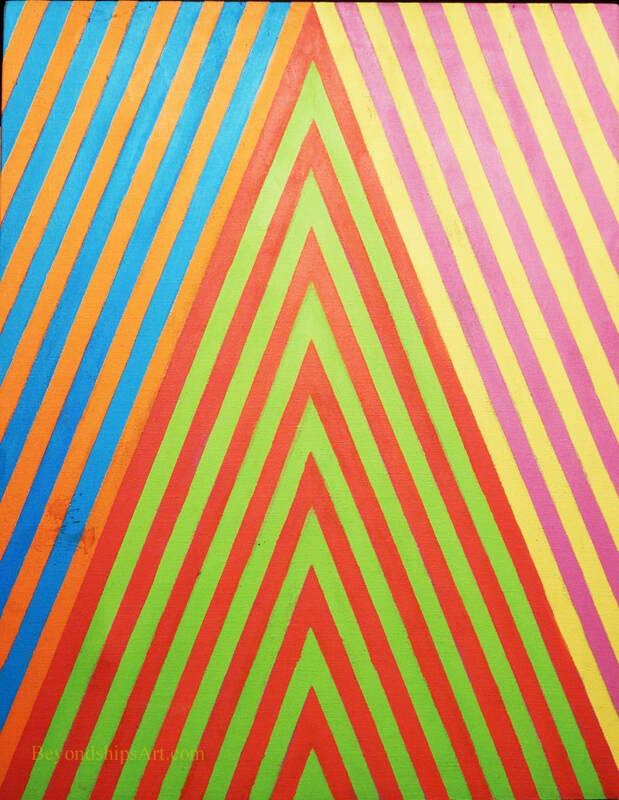 In the mid-1960s, Valda became interested in the possibilities of acrylic paint, especially the bold colors that were coming onto the market. They seemed to capture the joyful aspects of the counterculture movement that was emerging at that time. This led to a series of works that combine hard-edge geometric patterns and Op Art principles.